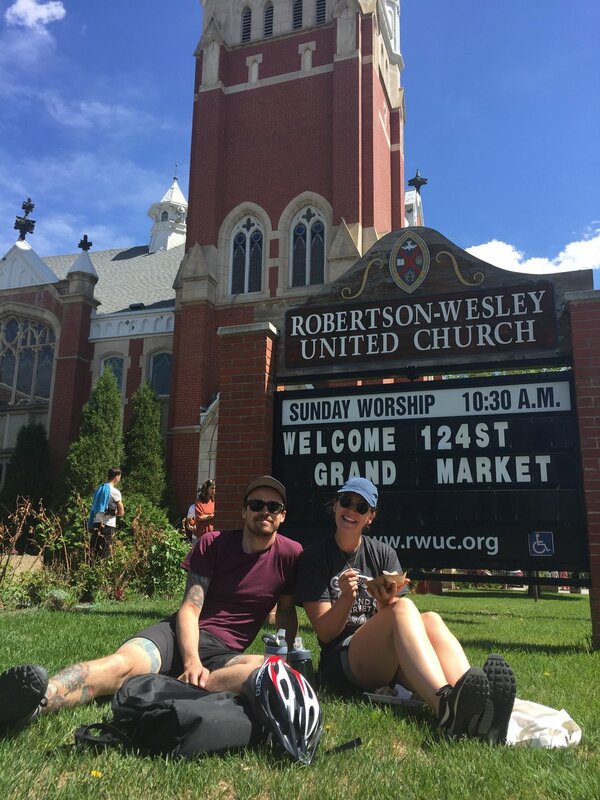 Enjoy your Sunday afternoons in the Oliver Community with the 124 Grand Market on 102 Avenue between 124 and 123 Streets, right by Robertson Wesley United Church and Evolve Strength Gym. Take in the vibrancy of the High Street area, with local shops and restaurants making Sundays on 124 a destination for the whole family. Each week, enjoy 55+ top-notch rotating stalls from our vendor collective including food trucks, local produce, prepared foods and artisan goods. Other programs offered include Market Bucks, our ATM program that works in partnership with Little Beans, which is offered weekly for free to kids between the ages of 4-12. We also highlight local, live entertainment as part of our 124 Grand Market Busker Series. The market is fun for the whole family. We are also dog friendly (as long as dogs are on leashes and stay our of food tents)! Join us every Sunday from June 2 to September 29 for the best public market block party in town. Want to be a vendor? Apply online anytime! Applications close on March 31, 2019. However, we keep a wait-list throughout the season, so apply any time to be considered! We look forward to hearing from you!